And then there are those times… usually when you least expect it, when you taste something and it makes you want to cuss. Because it’s that good. Like- “OH MY GOD GIVE ME THIS RECIPE RIGHT NOW”- good! 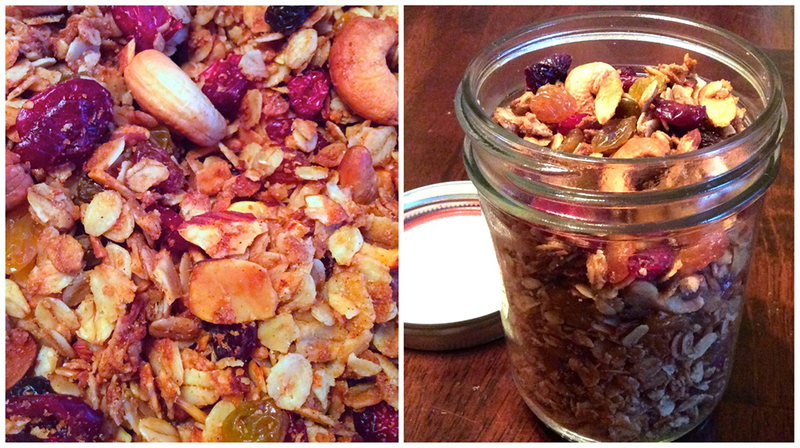 Yeah, so this granola…. its the latter. It’s that good. Trust me! This little jar of heaven was given to us from our friend Yvette who is the sales and marketing director at Ramekins. 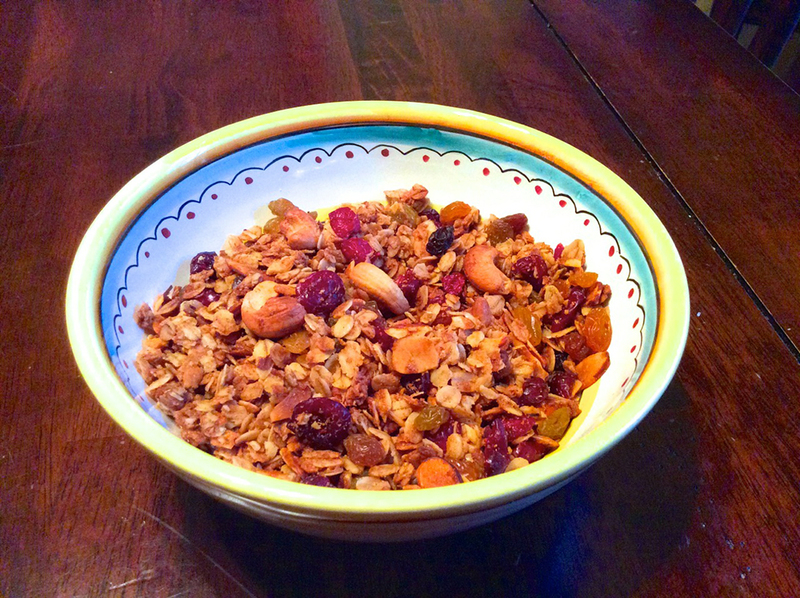 We are so excited that she was willing to share this delicious recipe with all of us! Preheat oven to 325 degrees. 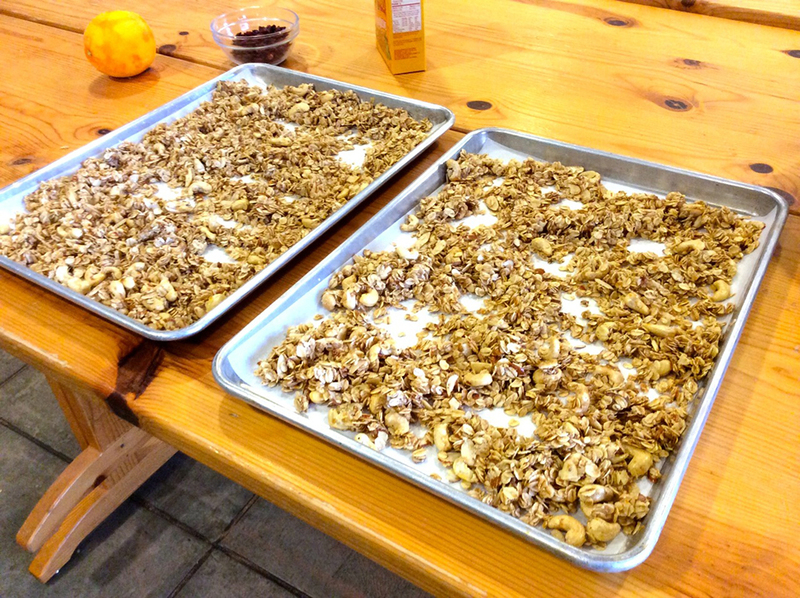 Line two half-sheet pans (cookie sheets) with parchment paper. 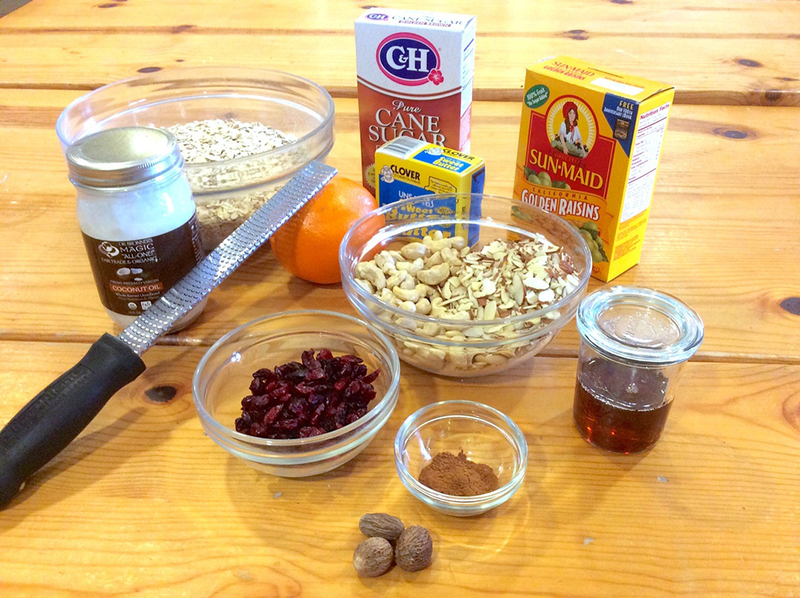 In a large bowl, place first seven ingredients together and mix well. Set aside. 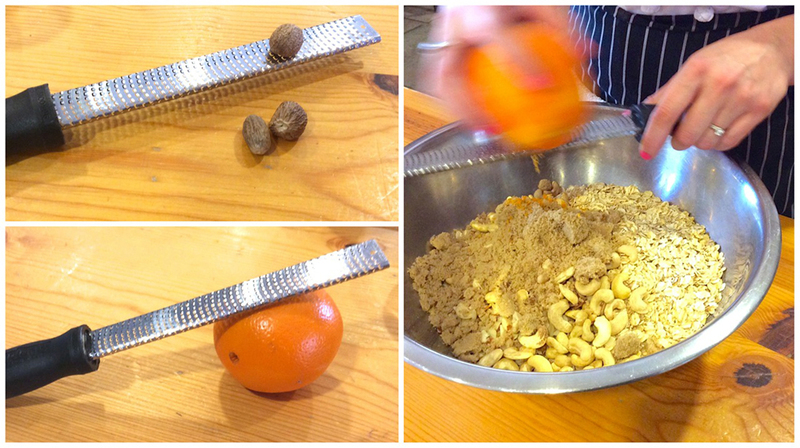 Freshly grated nutmeg & orange zest really add tons of flavor to this recipe! Melt butter and coconut oil in a small saucepan or microwave. Add maple syrup to butter/oil mixture. 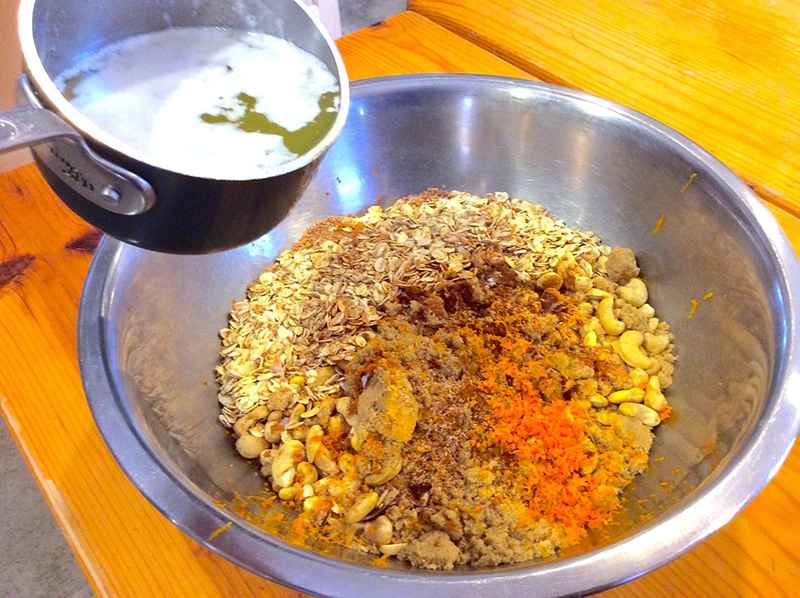 Pour syrup/butter/oil mixture into large bowl with dry ingredients and mix well. 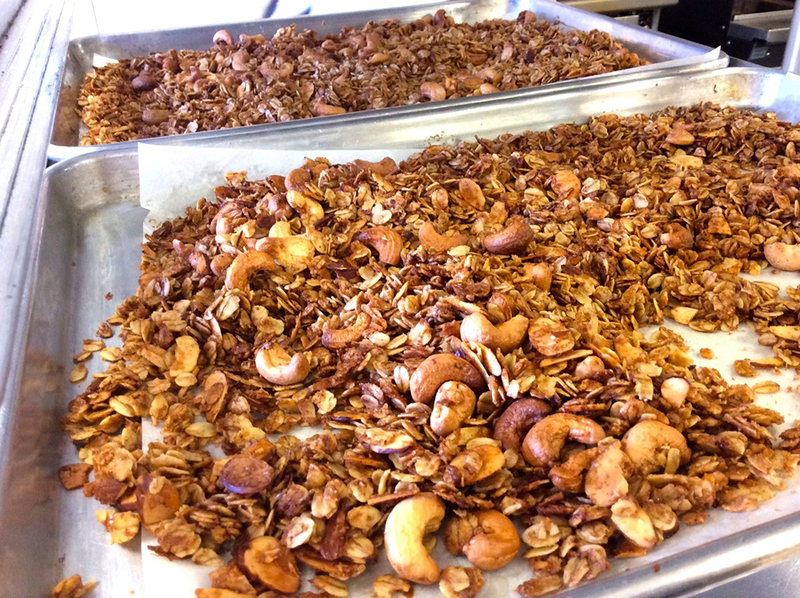 Spread out mixture onto two half-sheet pans which have been lined with parchment paper. Bake in oven for 40 minutes, stirring half way through. 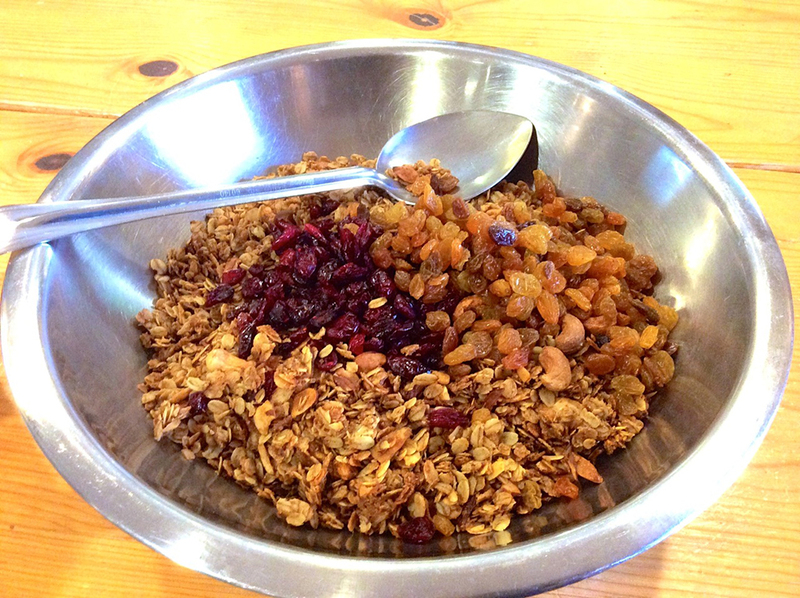 Mixture should be golden brown when done. 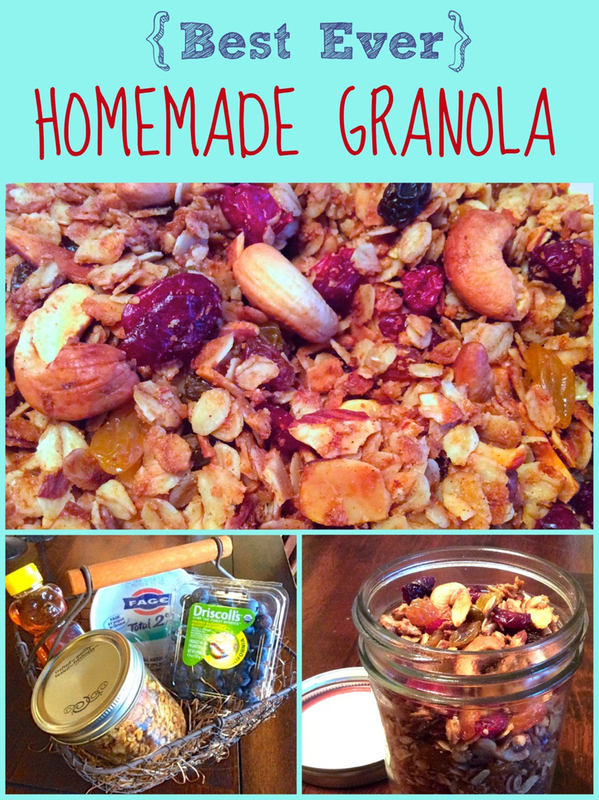 If you are generous enough to share this awesomeness, package in mason jars along with yummy toppings like greek yogurt, fresh blueberries and local honey. But we won’t judge you if you keep it all for yourself. Enjoy!